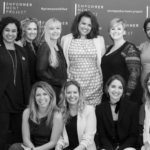 Lyndsey Bardnell, President of The EmpowHERment Project, spoke with Modern Salon Beauty and Fashion Director (and EP Council Member) Maggie Mulhern to highlight how the initiative will impact the industry. Read on to learn about our mission, in the words of our amazing leader. Lyndsey Bardnell, an industry mover and shaker, makes things happen as Vice President, Strategic Projects and Industry Development, Luxury Brand Partners (LBP). 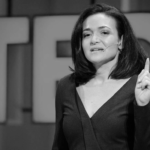 The industry icon has added a new title to her signature: President, EmpowHERment Project. WHAT IS THE MISSION OF THE EmpowHERment PROJECT? WHY IS THIS PROJECT IMPORTANT TO THE INDUSTRY? IS THIS A LUXURY BRAND PARTNERS PROJECT? HOW CAN WE ALL GET INVOLVED?